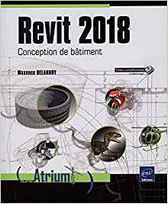 Wormhole, our free addin for Autodesk Revit is now available in a new version (1.1.6797.30945) with support for Revit 2019, 2018 and 2017. A tool for moving the .xxxx.rvt backup files to a folder of your choice (MoveBackup). And the french version here. Maxence, many thanks for sharing this very useful add-in! Merci pour le partage et les mises à jour de ce plugin très utile.